Create flavor-packed meals without the fuss of mincing messy garlic. 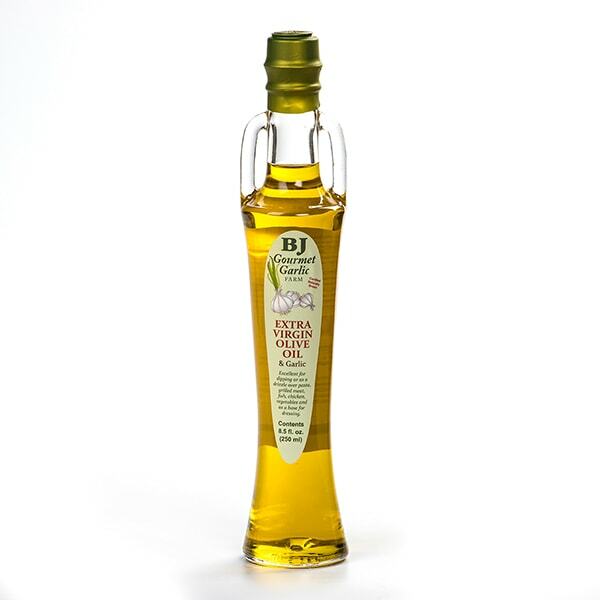 This extra virgin olive oil is made with Coratine olives from Pulgia, Italy and is blended with natural Music garlic that is grown by a family farm in Ohio - no chemicals used. Drizzle over pasta, meats and vegetables, or use as a dipping sauce. Ingredients: 97% Coratina Extra Virgin Olive Oil, 3% Whole Pure Fresh Garlic.